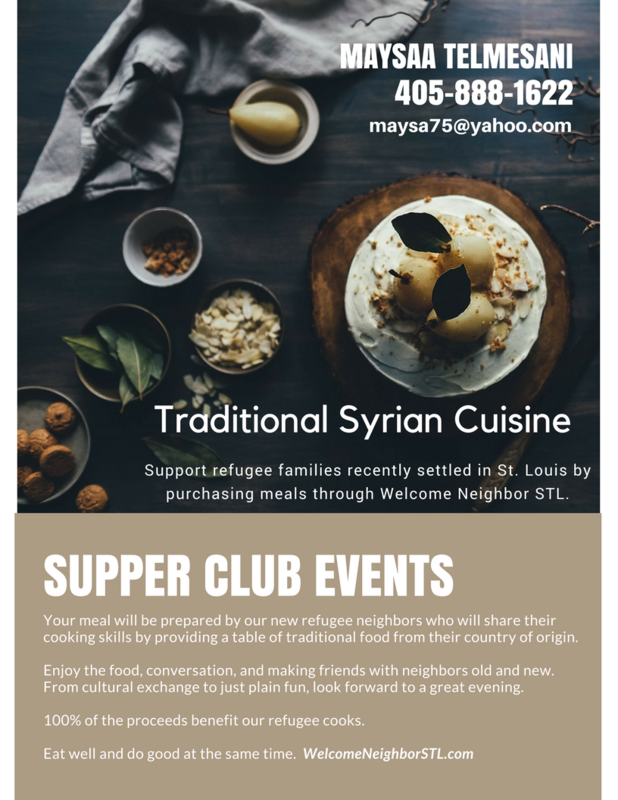 Support refugee families recently settled in St. Louis by purchasing meals through Welcome Neighbor STL. Your meal will be prepared by our new refugee neighbors who will share their cooking skills by providing a table of traditional food from their country of origin. 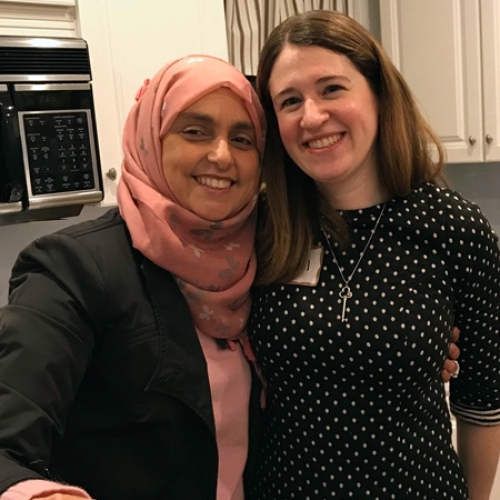 Enjoy the food, conversation, and making new friends with neighbors old and new. From cultural exchange to just plain fun, look forward to a great evening. 100% of the proceeds benefit our refugee cooks.